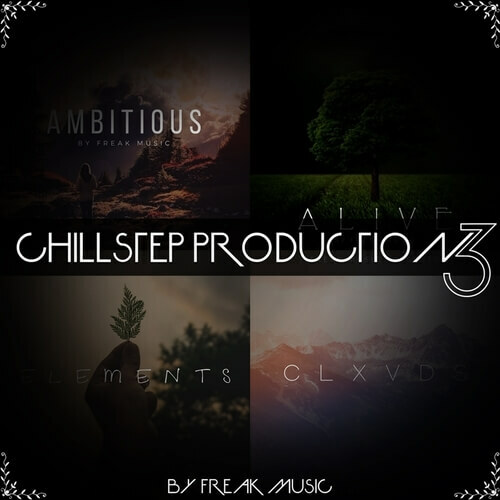 Freak Music is proud to present the “Chillstep Production 3” – a third volume of the awesome bundle. This product is full of construction kits, loops, samples, MIDI files and synthesizer presets. Four top quality products will definitely cover your expectations and absolutely fill your collection with modern and fresh sounds. Don’t miss a chance to get all of these kits for an incredibly fantastic price. You will find everything you need in this amazing compilation. This bundle contains a huge number of 20 construction kits in the chillstep, chillout, cloud trap and ambient genres. You will also find WAV loops, MIDI files, Spire and Keyzone presets, soundbanks, single one-shots, inspiring melodies and useful sounds. These beautiful constructions will be your absolute number one source for the next chilled out track. Everything included will perfectly fill your upcoming tracks. This is an excellent library to get inspired for your own productions!